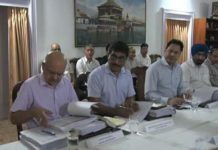 The officials, who are familiar with the investigation and spoke on condition of anonymity, believe that the Indian Air Force (IAF) helicopter may not have switched on the Identification Friend or Foe (IFF) system which identifies the flying object to radars, whether it is an enemy or one of its own. The IFF technology developed during World War II is an instrument within the aircraft or a helicopter which sends signals to nearby radars giving its identification signatures. The helicopter was flown by Sqdn Leader Siddharth Vashisht with other members Sqdn Ldr Ninad Mandvgane, Kumar Pandey, Sergeant Vikrant Sehrawat, Corporals Deepak Pandey and Pankaj Kumar. 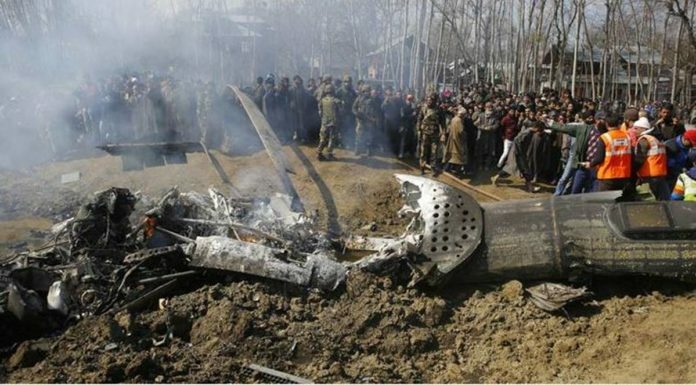 It crashed at Budgam after taking off from Srinagar airport at 10:10 am, soon after Pakistani Air Force jets had attempted to violate the Indian airspace at around 9.30 am on February 27.